I want to make explicit some shared assumptions and practices of the people whom I play old school Dungeons & Dragons with online. I thought it would be useful to have this post here, as something I could link to later. Part of my point is the obvious one that "old school" means a bunch of different things that sometimes it's helpful to disambiguate. But my main point is that some things that some people seem to think are incompatible actually go together like peanut butter and honey. I'm going to describe four different sets of things that I look for a game. I think these things are widely valued by all the people I play with and form the basis of a culture of google+ hangout gaming that is one of the best things about the OSR scene, but I speak for myself (obviously). To be clear, I don't mean to putting down games that differ from the ones I like. I rather mean to be making explicit a set of values that are realized in a certain community and a certain style of game. There are other values, different ways to weight the same values, and other ways to realize (some) of them through play. Here's what I want from a game. I want an open world. Railroading is the pits. Adventure paths take all the fun out playing. The world should be the players' oyster. The whole glorious point is to see what unexpected things emerge when a group of creative people put their heads together in anarchic unscripted play. This entails that the dungeon master should strive to set up open-ended situations. There should be hexmaps, pointcrawls, location-based adventures. There should be encounter tables, treasure tables, carousing tables, what have you. There should be factions, and schemers so that vectors of force move through the game to some extent independent of the players, which the players can then interact with in fun and unexpected ways. Rules should be structured so that players can make real and informed choices, often tactical. The whole point is to enable people to interact in meaningful ways with a developing environment. This doesn't involve giving the players narrative control over the setting. The players play their characters. It's through the choices of their characters that the delicious chaos unfolds. They do not "help the DM write the story". No one is writing a story. Stories emerge from play and are not scripted, not scripted by the players, and not scripted by the dungeon master. If the player could just change some story element, this would actually take away from the sense that they are interacting with an independent world. There are no story elements, we're not thinking in terms of telling a story. As a DM, it's hard to emphasize how much fun all this is. The glory of setting up a situation in the full knowledge that you don't know what is going to happen, and then seeing it go in some unanticipated direction is almost an elemental pleasure. Here's the second thing I enjoy in a game. It's not as important as the first thing, but it is important. I enjoy games that are fed by vaguely Appendix N sources of inspiration. (The list is open-ended and always shifting and reaches up to the present.) Let there be the cunning rogues of Vance, the opium dreams of Dunsany, the dying suns of C.A. 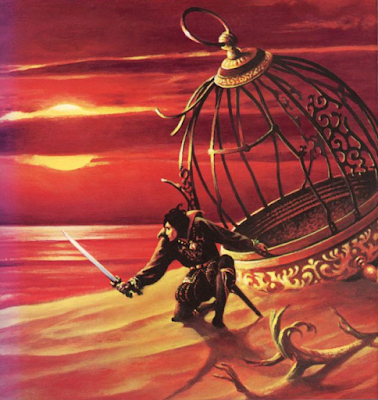 Smith, the pulp glory of Robert E. Howard, the freakishness of William Hodgson, the bleak metaphysics of Gene Wolf, and the cosmic horror of H.P. Lovecraft. With Vancian picaresque lies the aesthetic appeal of what initially appears the most hopelessly reductive equation of early D&D 1 GP=1 XP. This elegant equation at one stroke guarantees a game of low-cunning rogues who may, or may not, end up joining the rebellion if they want to. The third thing I enjoy about the culture of G+ gaming is a heavy DIY approach. The idea is that you're not being fed some pre-packaged goods by a game corporation. It's a community of people who value tinkering, changing, innovating. We love the craft. Some of us are artists, others graphic designers, others writers, and so on. We love making our own maps, as nice as we can; we draw; we make miniatures; we hand produce zines; we build terrain. We constantly share ideas with one another, rules, settings, spells, items, maps, and so on. We're curious about what other people are doing, and take inspiration from all sides. There's a lot of teaching that goes on, and the spread of useful techniques and ideas. 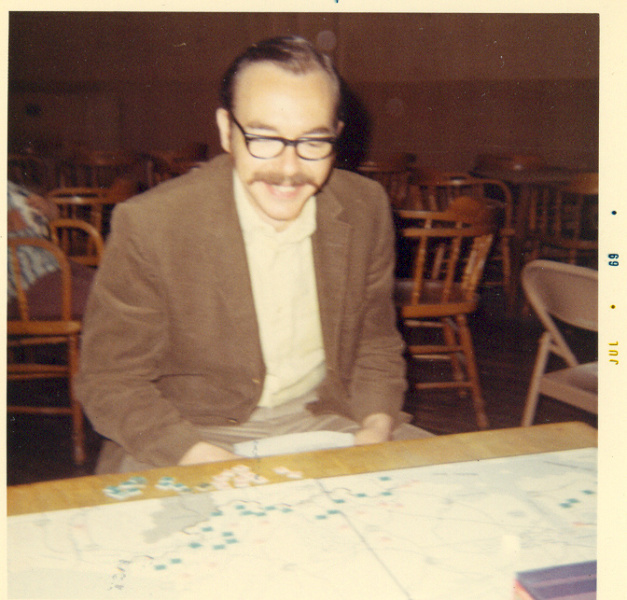 Before he invented D&D, Gary Gygax spent his time building numerous different sets of rules for war games. Sometimes he built a set of rules for a single battle. And he didn't do it alone! He was at the center of a vibrant community, connecting whole groups of people who loved sharing their endlessly tinkered rulesets in newsletters. Those guys had to invent everything from the ground up, their own rules, their miniatures, their own terrain, their own sand tables. This is the kind of milieu and mindset out of which D&D emerged. There are some consequences for rules, although not as much as you might think. They can be complicated, but they should be hackable. It can be fun to run a game straight, but it's usually more fun to tinker a bit. Complicated character builds and byzantine resolutions systems that are on the verge of falling apart if one gear is removed do not lend themselves very easily to this sort of thing. On the other hand, modular systems, and numerous sub-systems do. Potion miscibility. Thieves skills. Intelligent magical swords. Simplicity has its charms here too. There's something about stripping something down and building it back up that lends itself to clever innovation. 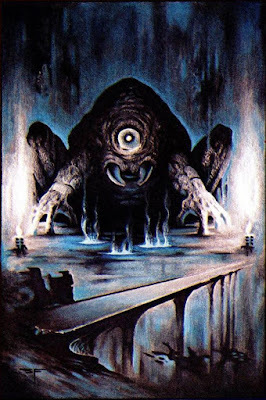 But simplicity isn't necessary; AD&D is the default in my mind, and Call of Cthulhu's basic roleplaying chassis isn't exactly simple, but one can ring endless changes on it. Now, the main point I want to make is this. The fourth thing I want from a game stands in no tension at all with the other things I want from a game. First of all, it's connected to the love of Appendix N type books, since these are all wildly imaginative books that depart from known assumptions to present strange and lurid worlds. Second, a setting is not the same as a pre-scripted story. It's not the same as an adventure path. A setting is where a sandbox is located. 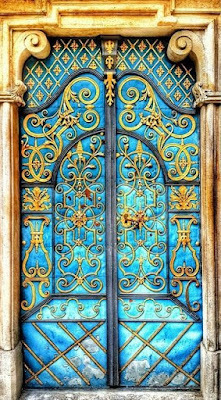 It's the milieu in which open-ended adventures are to be had. It's the home of point-crawls, hexcrawls, location-based dungeons. It's the place where factions live, literally. Being interested in the setting of a game is not in any tension with numerous old school ways of playing. For example, you have learned something about locations on a hexmap. One of your reasons for wanting to go to point A in particular to do your extracting of precious metals is that it sounds totally badass and you ache to know what is going on there. In an open-ended tactical game, you want to know about a setting because it's useful information to make important decisions. Knowing about X will give you a leg up when trying to get faction Y to help deal with faction Z. But if the game world is amazing, then ferreting out the relevant information is glorious. However, spurious arguments abound. I have heard it argued that having a distinctive and highly imaginative setting of one's own requires handing players a manual to read. The thought is that this takes away from the anarchic and gamist elements of play I mentioned in my first point by forcing the players to read a thinly veiled piece of gaming fiction. I have heard it argued that having a strongly imagined setting also makes it difficult to interact with the environment, because it removes the set of assumptions that allow the players to make meaningful choice.These are the kind of arguments people make when they've never seen a good DM handle a setting properly. Sure, it helps to make a bit of orienting material available to players in some digestible form, for example, a couple of blog posts. But it's also possible to learn about a setting entirely in game making meaningful choices all along the way. For example, in the game I've been running now for almost two years, the players have a home base in a city in the Wilderlands. It's cute, with a pleasure cult and witch queen, but well within ordinary sword and sorcery type bounds. However, the game has mostly been played through Ultan's door, a door in that appeared under the stairs of a printmaker's shop. 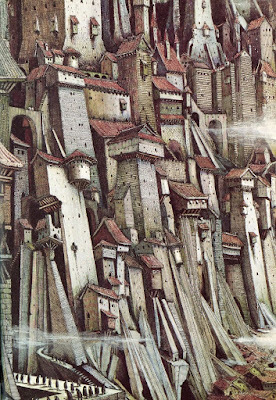 It has opened to the sewers and catacombs of Zyan, a flying city in the dreamlands. The players have learned about the strange world of Wishery through dungeon crawling, point crawling, hexcrawling, and faction play, all on the other side of Ultan's Door. I usually write a blog post about something after its been discovered in game. No one has to read it who was playing in the game, since they've already lived it, and perhaps burned it to the ground. Of course, context accumulates, as is vivid to me now that new players are joining in almost two years into the game. But context accumulates in any campaign that's lasted for a good spell. Morals. Here are some different things we might mean by old school: (1) open ended adventure through meaningful interaction with an independent environment (no railroads, adventure paths, or story gaming). (2) drawing on some of the same literally sources, and their living inheritors, that influenced Gygax, Arneson, Barker, et al. (3) a DIY approach of making art, tinkering, innovating, in terms of rules, in terms of setting, in terms of game concepts, drawing, drafting, etc. I have mentioned a fourth thing that is not especially old school (or new school): (4) a desire for wildly imaginative settings. I have argued that (4) stands in no tension with (1)-(3) in the hands of a competent DM. To be sure, (4) does stand in tension with something else that also has a claim to being old school. This is: (5) Using some original and well-played game as is along with its implied or explicit setting, for example, AD&D with Greyhawk. This is obviously old school too. So what? Interesting. These are the same things that have been on my mind this week and I was considering writing some kind of article very much like this one myself. Needless to say I very much agree with it. As always you manage to put things very eloquently that I frequently reach toward with incoherent mumblings. The above is a pretty great tabletop game creed. Excellent and well-articulated. This is what I look for, too, as a DM and as a player. It's undoutably a good thing for people to find a community they feel at home in. One of the reasons I enjoy my gaming so much is getting to 'visualize' what's happening; for me this is very important. I've always revelled in these other world's and their happenings going on in my head. I like to 'see' the terrain, towns, monsters, dungeons, ships, characters, etc. I do, however, find that this way I have of interacting with the game has it's challenges; when you mentioned settings like Tekumel, my mind skipped a beat. I tried to get into some of these 'weird' settings, but inevitably my brain ends up getting overburdened trying to 'see' what's going on, and I find it challenging (often not in a good way) to be dressed in armour I've never seen, battling six armed creatures I don't have much of a visual concept of. Good storytelling helps, but I do feel it can be difficult to engage in some fringe settings due to this; anyone else deal with this? I like to go on DeviantArt and find lots of art to help explain things; my GM is good about drawing sketches (he's a comic artist! Lucky me!) Of weird or high fantasy elements. 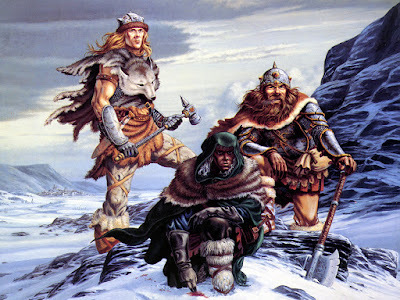 I think that you're right in that old school players enjoy some fringe genre elements to broaden their experience horizons; good GMs seem to be a given in old school play, given I think we are older players. My GM has been good about bringing in some parts of old or obscure mythology and writings, to shake things up. I find it's important for the GM to make the fringe elements relevant; like if there are many moons (simple example) to mention how this affects play. Or if in a fey woods / different plane, how does that affect my player? That sort of thing. To me, this seems like a big part of what we want from old school; having the fringe elements something tangible rather than just a side note. Anyway, great article, I totally agree! Just wanted to elaborate on that point about settings, for me, and see if/ how others feel. "I like to go on DeviantArt and find lots of art to help explain things" I do this too. I think it can really help. In fact, when I DM I often prep by sifting through images until some speak to me.
" find it's important for the GM to make the fringe elements relevant; like if there are many moons (simple example) to mention how this affects play. Or if in a fey woods / different plane, how does that affect my player? That sort of thing." I also agree with this. I try always to introduce setting elements through some actually relevant situation or information. For example, I introduced some elements of the religion of the flying city I mention when the players were exploring a temple with dimensional gates to different holy sites. Or again, they learn about the factions in the city by coming into contact with them and having to deal with them. The starting assumption of Tekumel, which I think would work well--check Jamie Mal's Tekumel zine for this--is that the players are all barbarians who don't know anything about the setting. They live in the foreign quarter of this weird city, and they slowly get invovled with various patrons who belong to various factions in the setting, who offer them pay to poke around in the underworld, or do heists, or whatever. And lo and behold, 10 sessions in the players can tell you all kinds of things about Jakalla (the starting city) and the Tsolyani religion, etc., because it's all been tactically relevant in the game. That's how to do Tekumel. Start by thematizing the fact that your players don't know anything about it. One of the challenges I have set out for myself is to explain OSR to players of modern games and entice them to try the old ways out - in a short a sales pitch as possible. This post is a good start because you have laid out the elements that encompass your concept of the OSR. Glad I found you and glad you wrote this. I put you on my blogroll immediately.